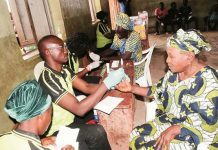 The Federal Government is working relentlessly to curb the outbreaks of diseases in the country, the Nigeria Centre for Disease Control (NCDC) has said. NCDC’s Chief Executive Officer, Dr Chikwe Ihekweazu said this at the centre’s 3rd annual scientific pre- conference workshop in Abuja. Ihekweazu said that although curbing diseases in the country was a gradual process, he however, noted that the centre was faced with lots of challenges that militate against the execution of its mandate. He, nonetheless, said that aside NCDC, there were other agencies ready to push public health to the front burner. “We have 180 million people in Nigeria, many who are living in poverty; there is lack of education and lack of health services, but government is pushing on all these areas to better the country. “We are educating and creating more awareness and working with rural communities to find lasting solutions to s the problems of disease outbreaks in Nigeria. 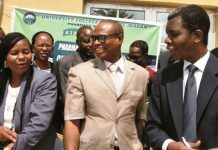 “We also look for new opportunities that we help in curbing diseases in the country not forgetting that some are endemic in Nigeria,” he said.